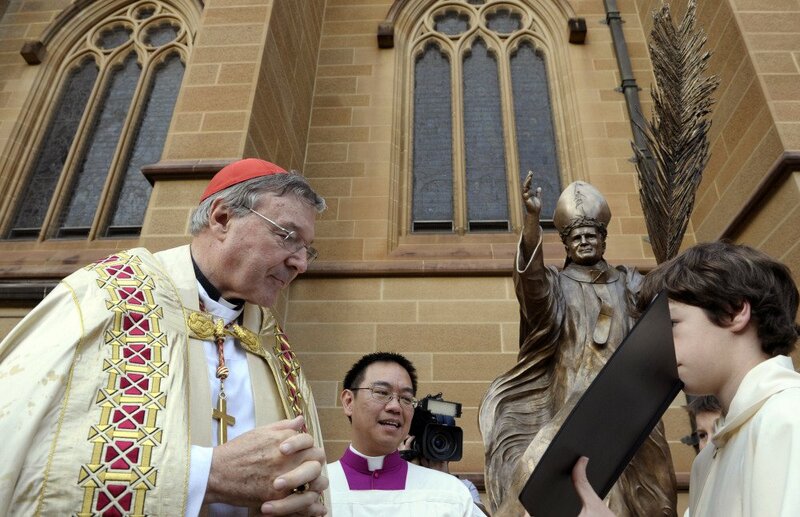 Cardinal George Pell, left, reads a Bible during the blessing of a statue of John Paul II at St Mary's Cathedral in Sydney, Australia, in 2011. 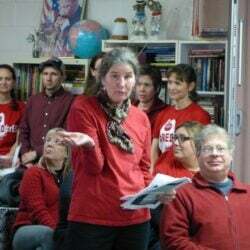 Pell faces multiple charges of “historical sexual assault offenses,” meaning offenses that generally occurred in the past. Cardinal George Pell, left, reads a bible during the blessing of a statue of John Paul II at St Mary’s Cathedral in Sydney, Australia, in 2011.